Tasty and easy dessert for both - children and adults. 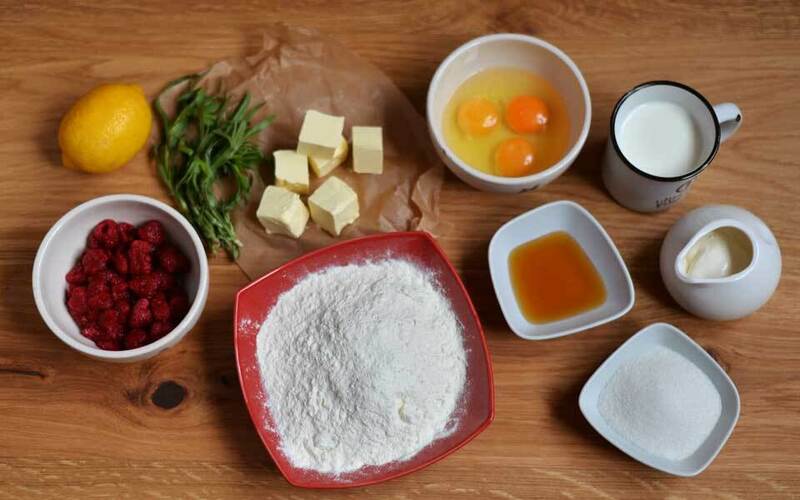 Waffle dough: Whisk with mixer eggs and sugar, add milk, creme, honey, melted butter, in the end - flour and baking powder. 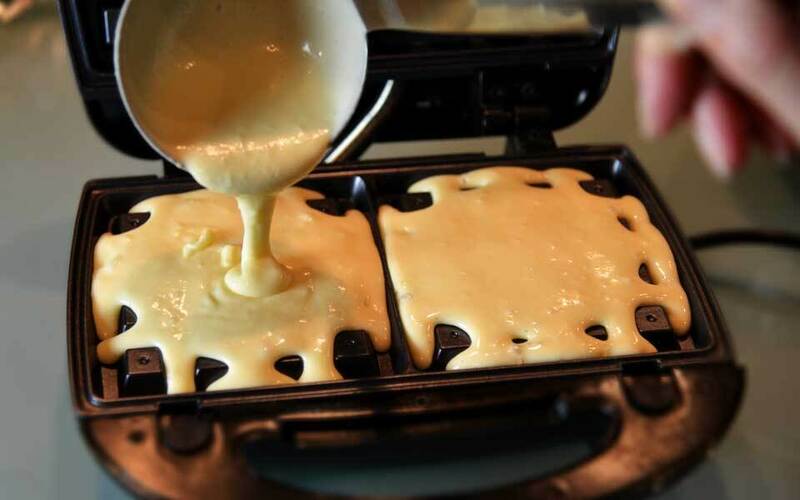 Preheat waffle baker and pour the dough in it. Cover with the lid and wait for 5-7 minutes. Whisk cream with mixer on the lowest speed. Add powdered sugar and keep in fridge for a while. Dissolve 2 tbsp. of powdered sugar in 400 gr. of water. Add raspberries and tarragon. Keep in fridge, also. 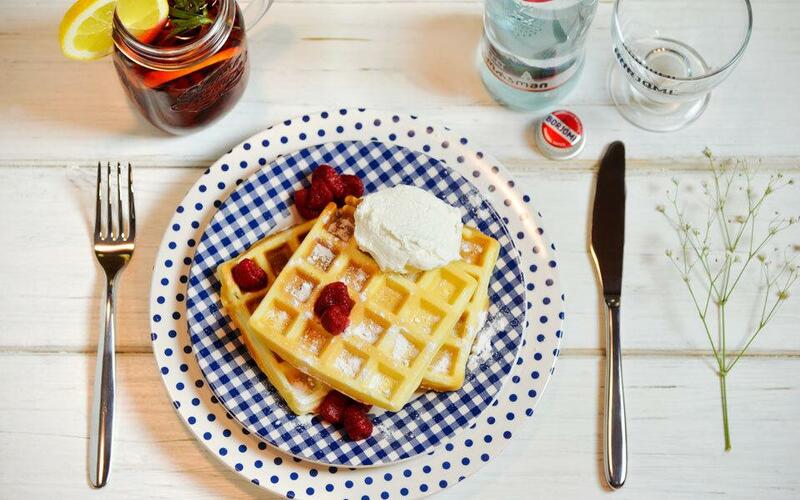 Serve waffles along with creme and lemonade.